Government Statistics show unsafe electrical installation causes more than 750 serious accidents and 12,500 fires in homes each year. If you are moving home, you need to know about the electrics in your new property. Be extra cautious if the property is old as it runs a higher risk of having faulty wiring. An electrical survey, known as a Periodic Inspection looks for possible electric shock risks and fire hazards. We will carry out tests on wiring and fixed electrical equipment, identify any faulty electrical work and highlight if safety measures (such as bonding) are present in the bathroom. After the inspection we will give you an Electrical Survey Report (Periodic Inspection Report). The report identifies the overall condition of the all the electrics, stating whether it is satisfactory for continued use and any work which might need to be done. If You Feel Your Household Needs To Be Checked For Unsafe Wiring Or Have Any Enquiries, Then Get In Touch With Us Today! If you have had a Periodic Inspection and it has thrown up an unsatisfactory result, or if the wiring in your house is very old, you may need a rewire. Rewire first – Decorate later – A rewire can be a very messy job – causing major disruptions to the household. Prepare a brief of what you need. Make a list of the number of sockets and lighting points you would like in each room. If you want wires concealed and accessories flushed in – make this very clear in your brief. If you plan to buy your own light fittings and accessories check with our electricians to see if they are suitable. When the rewire and other installations are completed, we will give you an electrical installation certificate which confirms that the work has been carried out inspected and tested in accordance with the BS 7671 national safety standard, for electrical installations. Within 30 days of the work being completed you will receive an NICEIC certificate that confirms that the work complies with the Part P of the Building Regulations. NICEIC is an Approved Contractor Scheme for electrical contractors undertaking design, installation, commissioning and maintenance of electrical installations to BS7671. What is the Domestic Periodic Inspection Reporting (DPIR) scheme? The NICEIC, DPIR Scheme is designed to provide contractors that perform periodic inspection reporting in dwellings with independent recognition of their skills and to provide a definitive register of inspectors to householders, landlords and other specifiers. Landlords, in particular should ensure that regular periodic inspections are undertaken to verify the safety of tenants is not compromised. 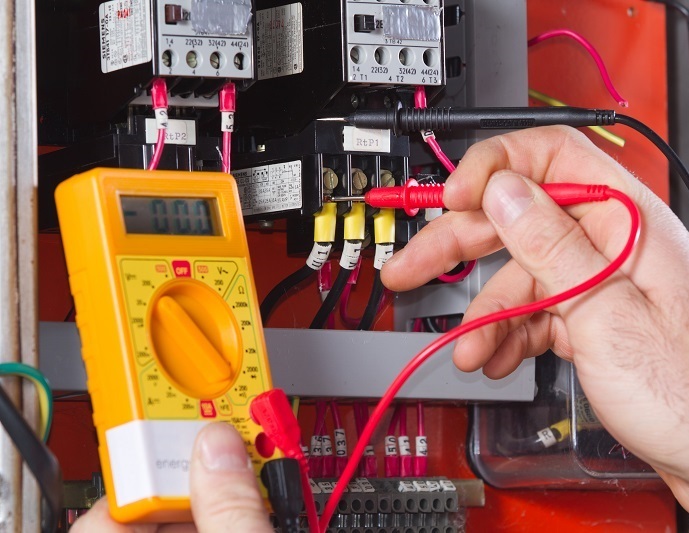 Periodic inspection is the inspection of the condition of an existing electrical installation, to identify in order of priority any deficiencies against the national safety standard for electrical installations. Part P of the Building Regulation for England and Wales was introduced by the government in January 2005, with the aim of reducing the number of accidents in the home related to faulty electrical installations. It is now a legal requirement for electricians or individuals involved in carrying out domestic electrician work to comply with Building Regulations. Most electrical installations carried out in a property are now modifiable – so that the local authority building control must be notified prior to work being carried out. As Merrivale Electrical Ltd are registered with the NICEIC which is government-authorised, we can notify the local authority building control after the work has been completed.